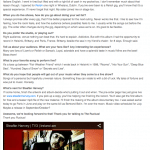 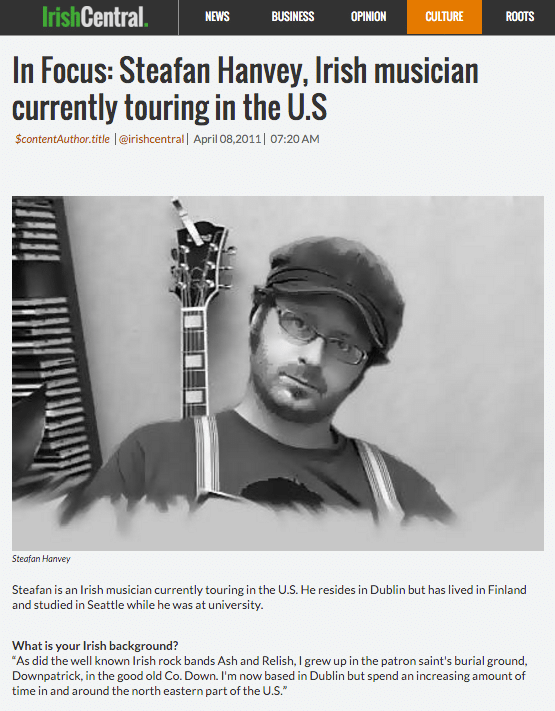 "Northern Irish singer-songwriter Steafán Hanvey was born during one of the bloodiest years in the Northern Irish Troubles, in Downpatrick, Northern Ireland. 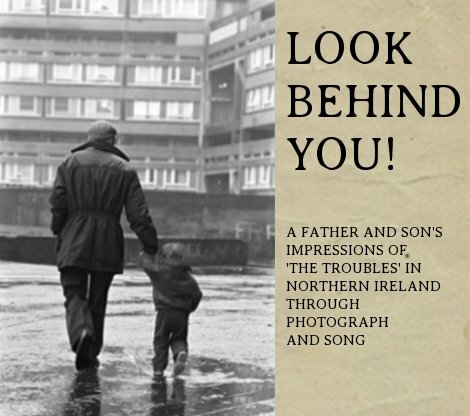 He's put a story behind those troubled times in a multimedia performance-lecture titled Look Behind You! 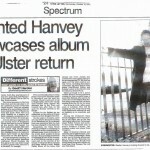 A Father and Son's Impressions of The Troubles In Northern Ireland Through Photograph and Song." 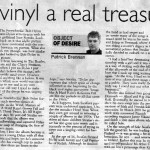 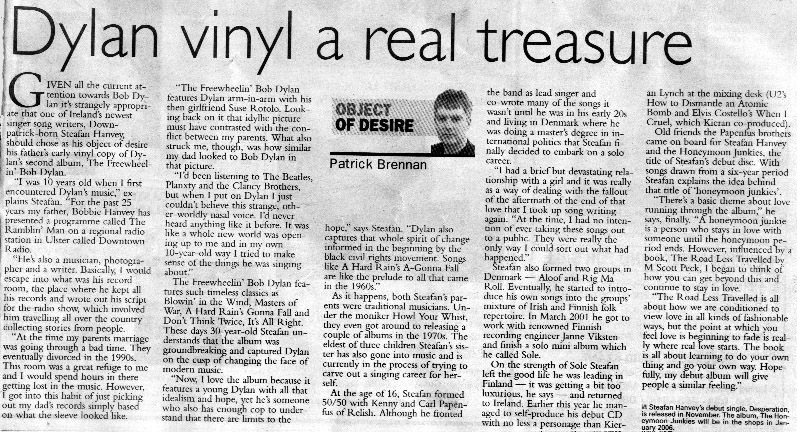 Object of Desire: "I love the album (Freewheelin) because it features a young Dylan with all that idealism and hope yet hes someone who also has enough cop to understand that there are limits to the hope..."
"Some of my earliest memories are of looking through my dad's records and picking out the ones with the best covers to play." 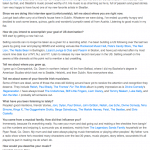 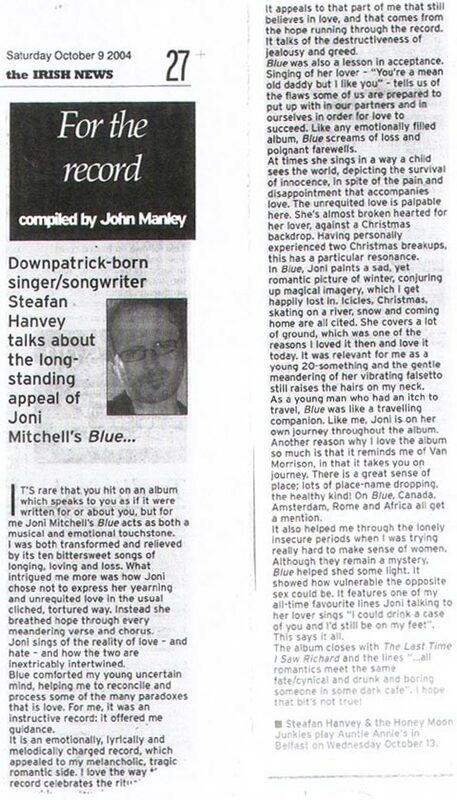 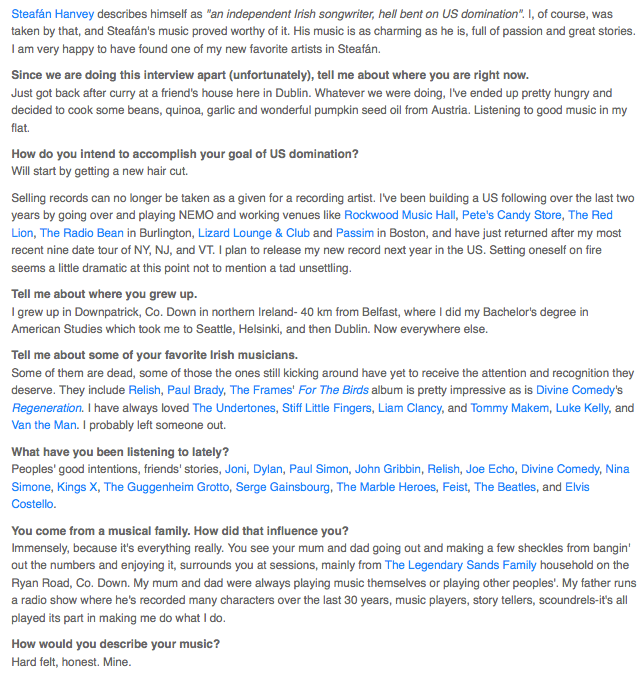 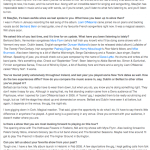 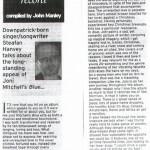 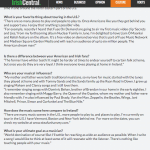 "Downpatrick-born singer/songwriter Steafán Hanvey talks about the long-standing appeal of Joni Mitchell's Blue..."
"Steafán is one of those performers blessed with a distinctive voice." 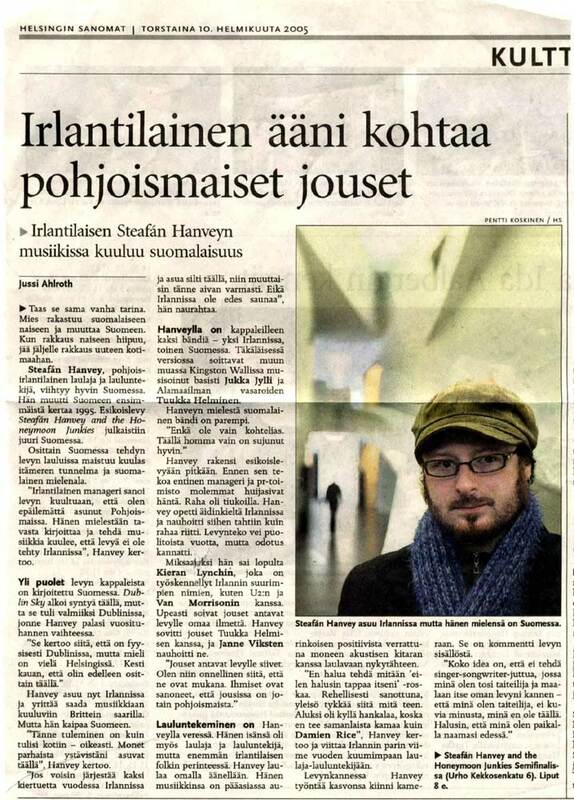 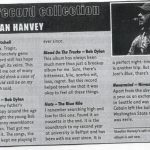 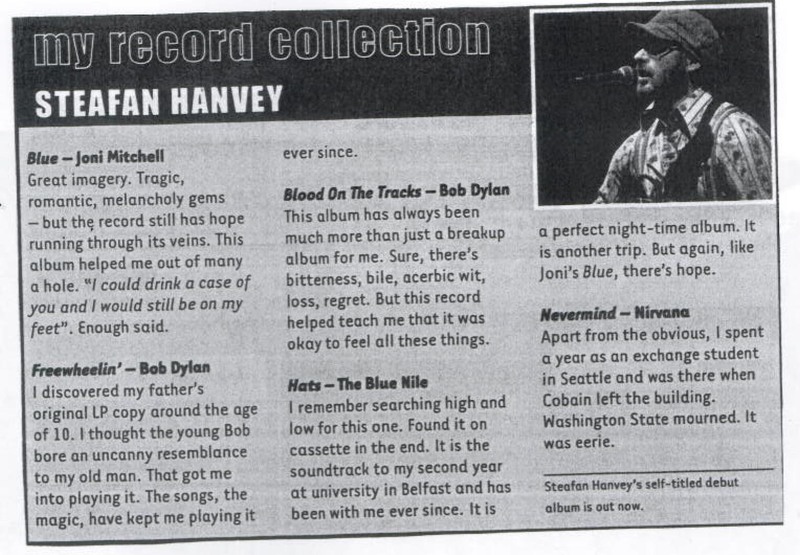 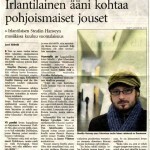 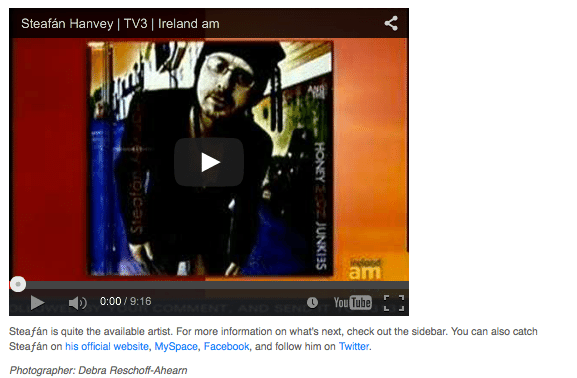 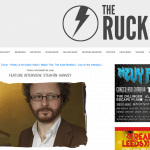 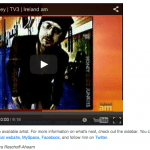 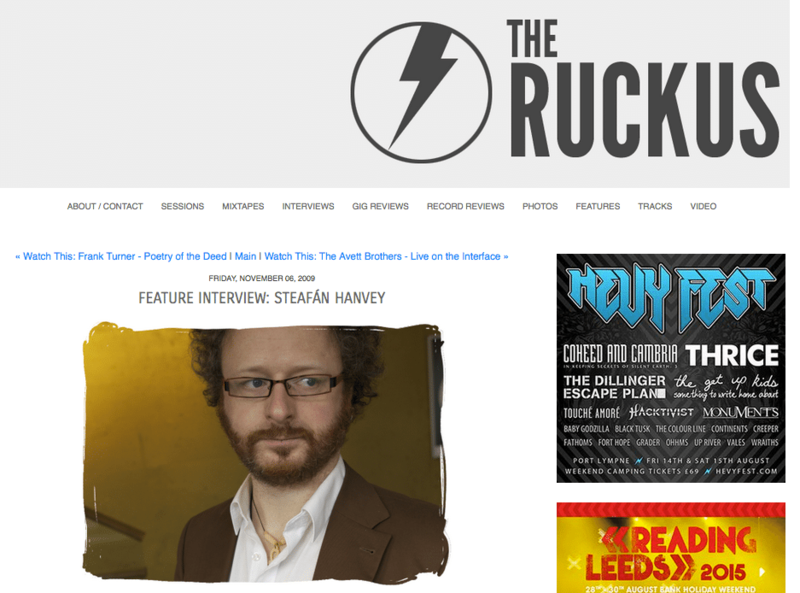 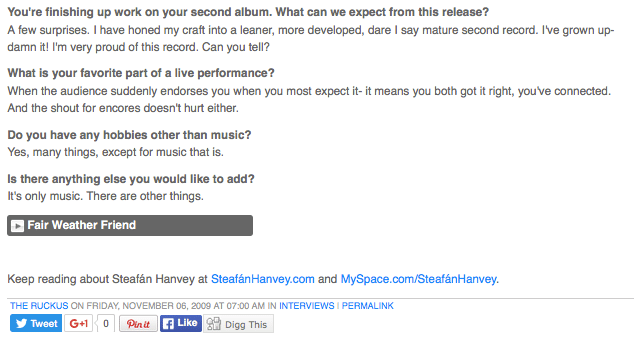 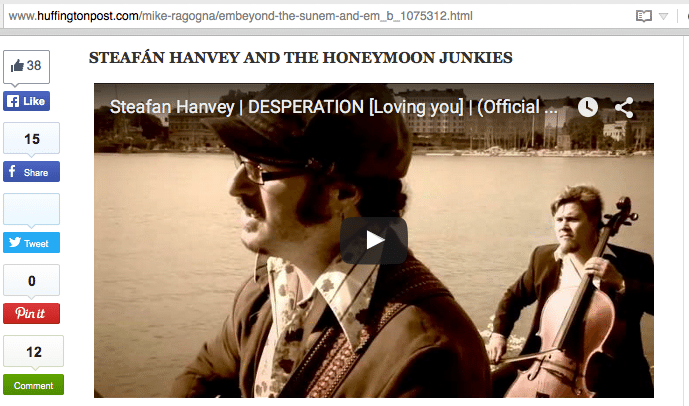 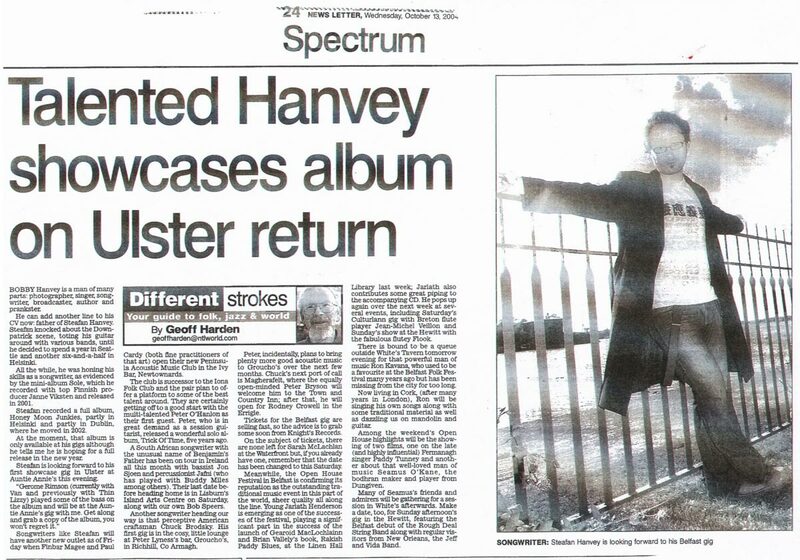 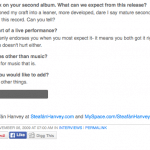 "Talented Hanvey showcases album on Ulster return." 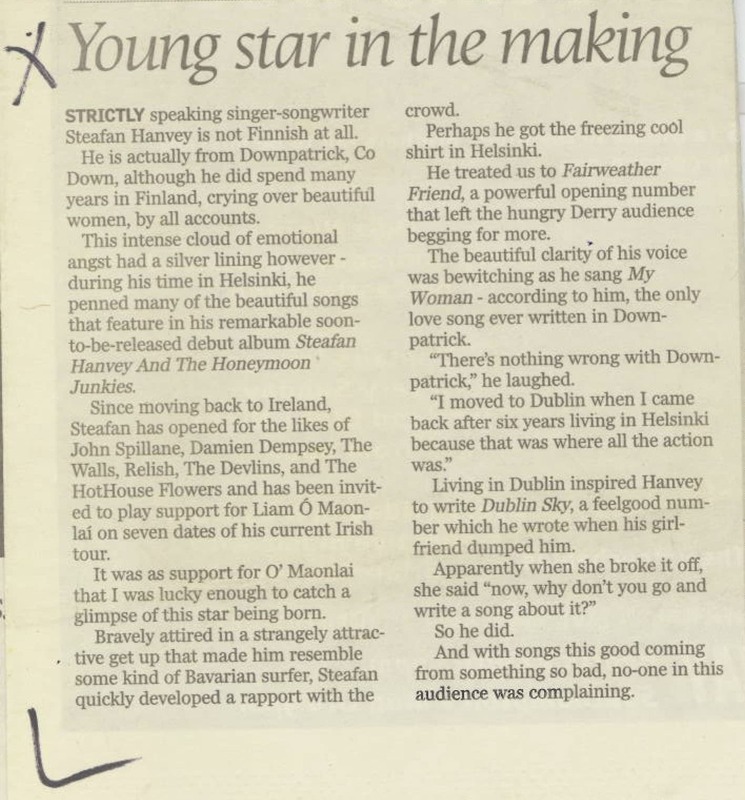 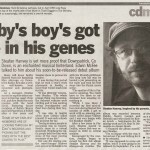 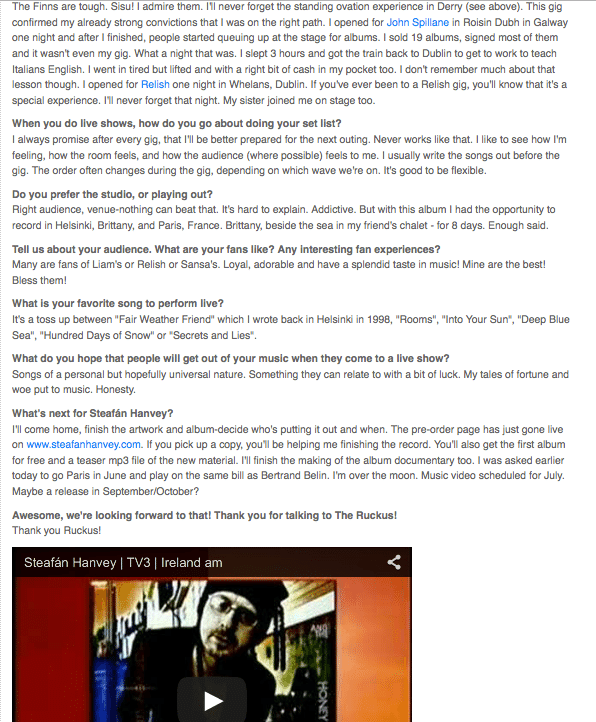 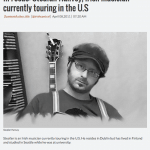 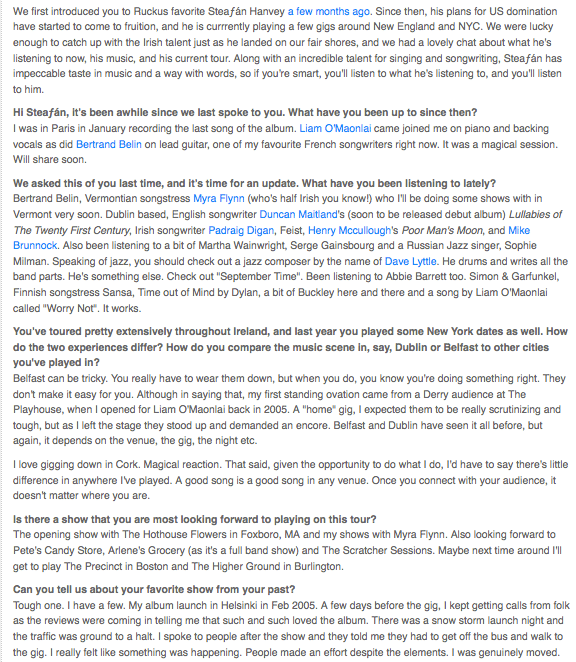 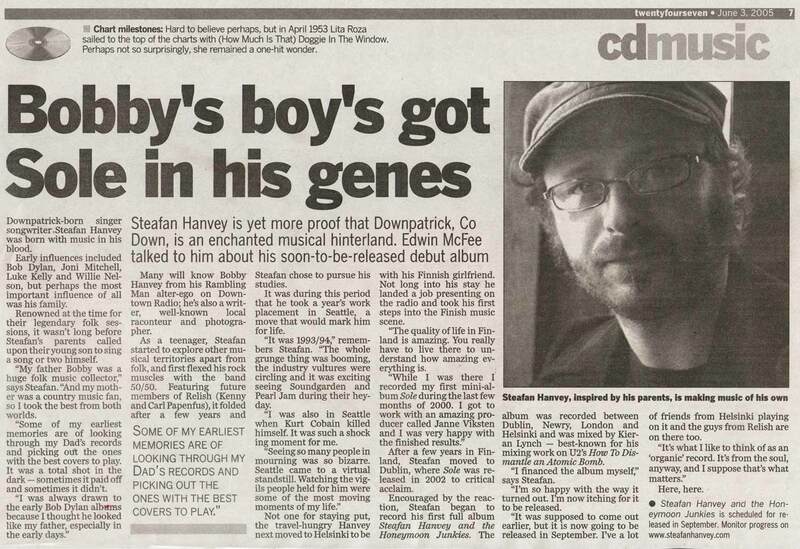 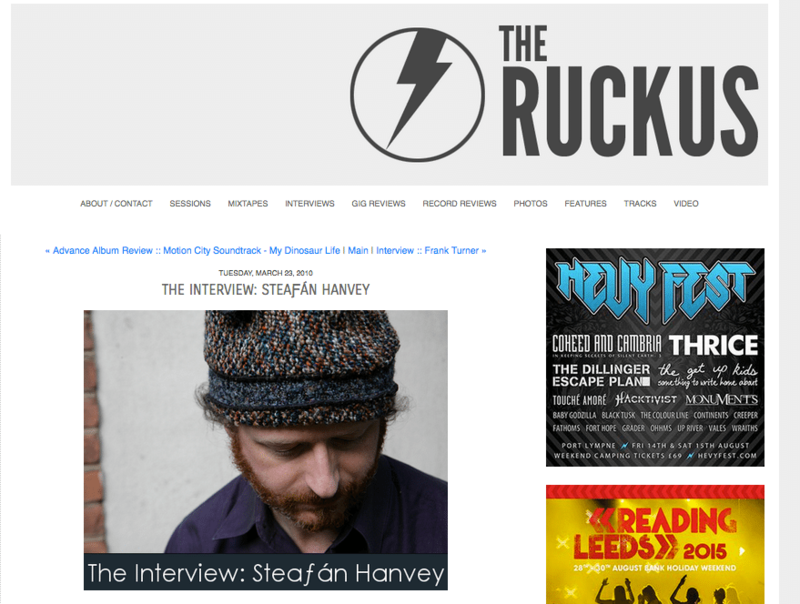 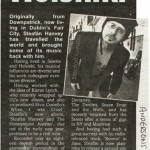 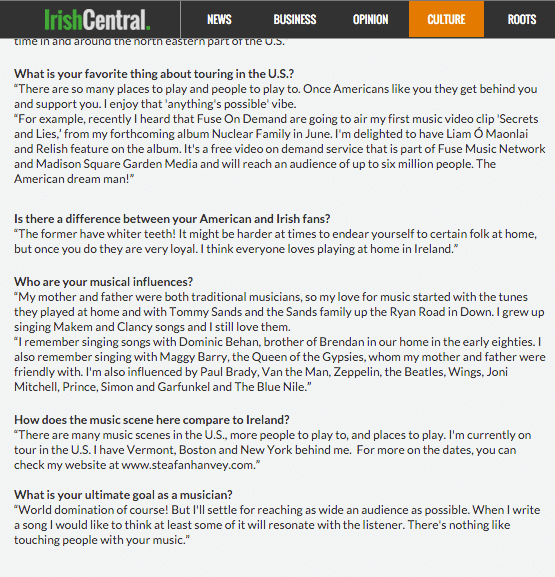 "Originally from Downpatrick, now living in Dublin's Fair City Steafán Hanvey has travelled the world and brought some of its music back with him."